RIPP LOCK® lock washers for a save screw locking solution on aluminium cranes. RIPP LOCK® lock washers prevent threaded fasteners from working loose under dynamic loading. When dynamic loads come into play, very specific demands are imposed on the bolted connection. 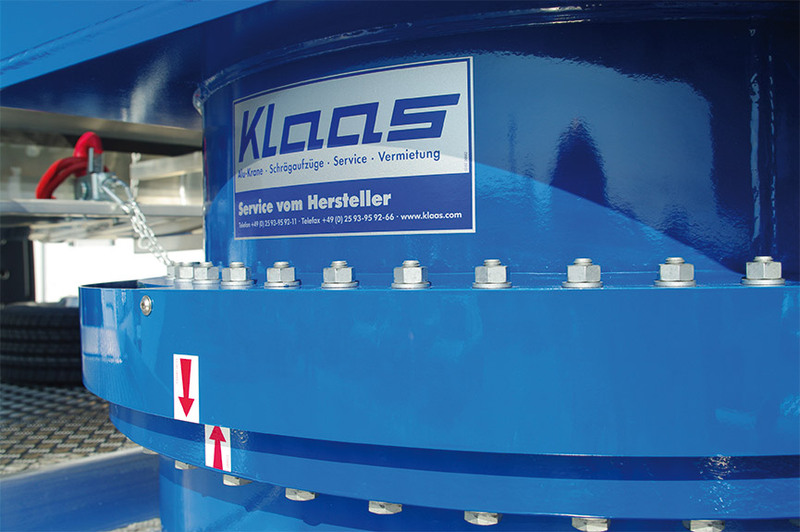 We have found an effective, cost-efficient way to help Klaas optimise the connections on the slewing ring of a crane. Ever since it developed the first aluminium crane, Klaas has made a name for itself, both in Germany and beyond, as an innovative engineering company. Roofing contractors, furniture removers and fire services around the world rely on these sophisticated lightweight cranes. Our job was to optimise the bolted connections on the slewing ring of a truck crane. As the fasteners are subject to high dynamic loading, spacer sleeves of length 2 x d were originally used. Our aim was to make these spacer sleeves redundant. In addition, we also wanted to address the corrosion susceptibility of the coated steel fasteners that were used. With RIPP LOCK®, the spacer sleeves that were previously used are now redundant. 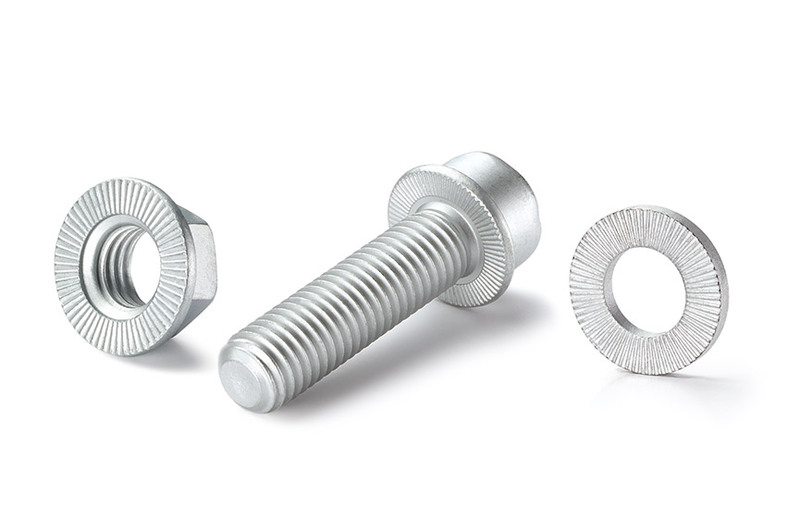 As the intermediate element between the connecting part and the fastener head, screw locks regulate the friction factor and maintain the necessary preload force, even under high dynamic loading. 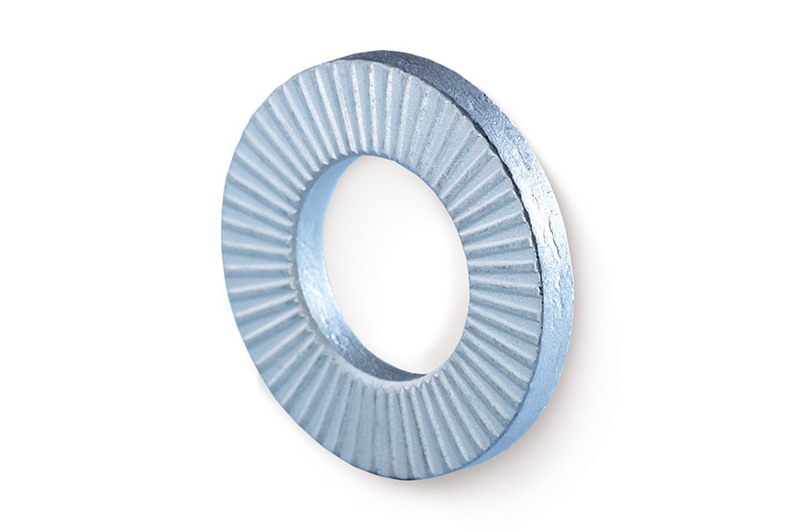 The high-quality zinc flake coating – on the RIPP LOCK® lock washers and on the hexagon head fasteners and nuts – provides effective corrosion protection. Salt spray tests confirmed resistance to red rust for 480 hours. 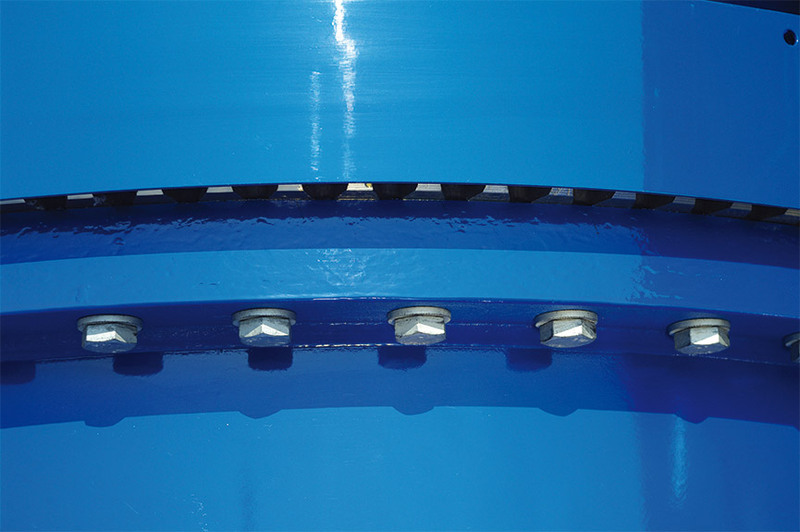 RIPP LOCK® lock washers are used in the slewing ring of a truck crane. The principal customers for the machine manufacturer's innovative cranes are now roofing contractors, furniture removers, carpentry firms and fire services. The radial ribs on both sides of the washers prevent the fasteners from working loose. The fastener stays in place. The mechanical anti-rotation lock provided by the RIPP LOCK® lock washer prevents threaded fasteners from working loose under dynamic loading. Fitted with this corrosion-resistant, heat-resistant locking element, the crane's slewing ring is capable of withstanding even extreme dynamic loading. The RIPP LOCK® lock washer combines many individual advantages of previous locking elements. As a general-purpose product – the relatively large outside diameter complies with DIN 125 / ISO 7089 – it can be used almost anywhere. Easy installation and removal means that the product can also be used more than once. By avoiding the need for spacer sleeves, we have been able to streamline Klaas's range of C-parts. So our customer has two reasons to celebrate – with both technical and economic benefits.